Thought of releasing the latest update of toggle mod as soon as the latest version of Mini Militia(2.2.26) has been rolled out. Just for you all, ma precious followers. I don't want you guys to wait and fed up commenting and messaging me for the latest update. 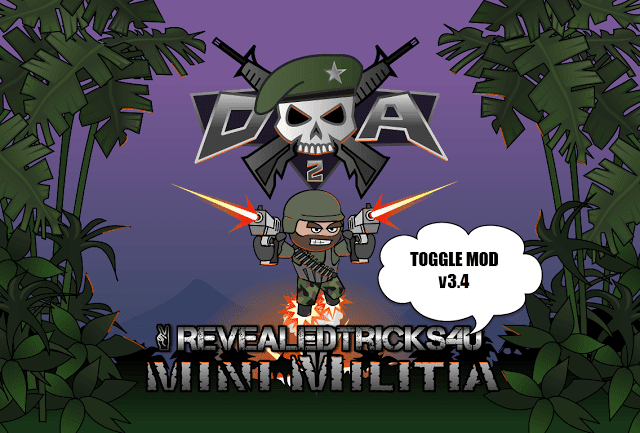 MiniMilitiaMods-UPDATED-v6.0-RevealedTricks4U.com.apk - Click on Skip Ad after clicking this link, to get the download page. Bro when i use 2 guns one 1 gun dont work. bullets not coming from both guns. it happens when i use unlimited ammo. can you please help me? Most had a problem with that. But really, it fires the bullets without bullet traces. kyu mini militia whatsapp pe khelega ? Sorry, I couldn't give out my whatsapp number for obvious reasons. You can still contact me through Contact Me page or just use the live chat floating over the bottom right corner of your screen. It seems to be a weird problem, please let me know more details about your device. It's already in every versions of Toggle app and it will stay there in future versions, too. Bro can you provide any antivirus hack for pc and android devices to security. I would prefer Avast Professional, just ma personal preference. And, I don't think there is a need for antivirus on mobile phone. its not working for me .. game unfortunately stop .. i have root access too .. :( what should i do ?? What's the problem, please be specific. Please update the toggle mod for mini militia 2.2.27. Thanks in Advance. I have installed but it is asking to root.how can I fix this problem? You need to have a rooted phone for this mate. Shabib can you make toggle mod for v2.2.27 as fast you can and thanks for all toggle mod all are work awsome. Thanks. And, here is your new update. Don't use dual wield while playing in Quick Play or online mode, it will make other players freeze. Shahib can you make toggle mod for v2.2.27 as fast you can and thanks for all toggle mod all are work awsome. Will try to implement that suggestion on the next update. brilliant man..you rock as always...btw will it work for 2.2.27 also ??? Bro v2.2.7 is out as the earlier one was crashing a lot so please upload the mod for that :') ps: love u ! Please update for ver 2.2.27 ASAP!!! Will be released around the end of this month, I hope so. That suggestion is already in my To-Do list. Yes, it needs a stable root permission. Please update for v2.2.27 as it has fix custom room's crashes. Very important bug fixed. I'd say "mod" or "alteration" instead of the word "hack". OKkk its "mod" or "alteration"
Is this for rooted devices? I am new here, Can u plz assist how it works. It's simple, read the Mini Militia old posts to see the instructions. when ever i start the game and kill some the game shut's down..says mini milita stopped working..why?? Be specific, give me the device details. It doesn't work on my phone. I have rooted my phone for it, I did select the patches and applied but when I start the game , it remains the same as before..
As Harshit said, it's nearly impossible to find some mods for COC, because it's fully server sided. Give proper credits and backlinks to the website. Then you're good to go. it is taking too much time any problem? Hey, please update your mod as fast as possible. 2.2.26 version is just keep on crashing. Please make your mod compatible with v2.2.27. i use huawei ascend g610. i used ur patcher and when playing quickplay i freeze. its been almost a month. where are you. we need your help. New version of mini militia had been released. Please update the mod. This Mod isn't working. I'm using a Rooted Nexus5. BTW the previous version of the mod worked perfectly. Please can u tell how to lower my rank and skill level..
Or can u put that option in the next update?  I downloaded R tricks just now..... It's not compatible with my Game version.... my game's new version i.e V2.2.52... so is there any updates? Please help. Stuck for days for this !